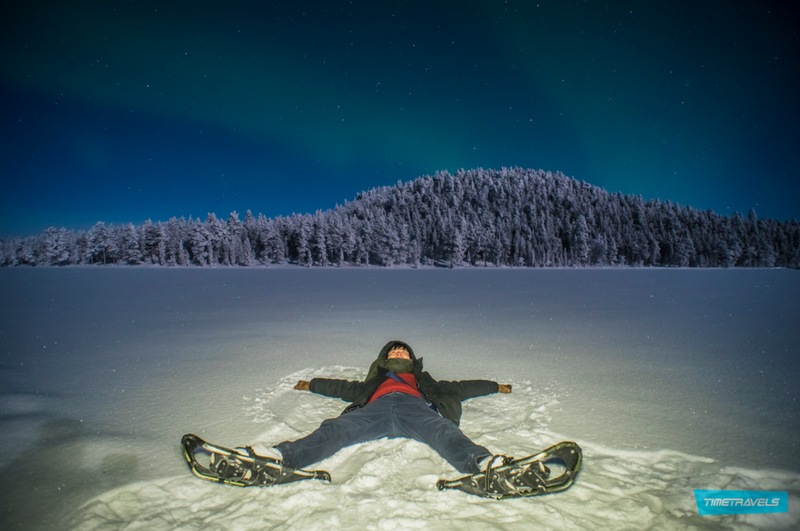 SNOWSHOE TREKKING - WHAT IS IT ALL ABOUT? Snowshoeing is one of our most enjoyable activities. Our guides make sure you conquer even the steepest of hills and enjoy what the National Park has to offer. This is a great chance to challenge yourself and to experience something to reminisce even after years. The unique feeling of the North, the magic of Lapland, can definitely be felt when walking deep in the forests and fells. Try something new, you will love it! With the help of one of our experienced guides snowshoeing makes for a great sports activity and is recommended from ages 7 and up! Snowshoeing is an easy and fun way of experiencing winter and the great outdoors for pretty much anyone. 2h Snowshoe Trek includes the snowshoe gear and a trek at the National Park with an experienced guide. HOW SHOULD I BE PREPARED FOR SNOWSHOEING? Remember to bring a cheerful attitude and clothing that is suitable for having fun in deep snow. We highly recommend warm winter boots. Some snow might end up in wrong places, but that's what adventures are all about! Snowshoe treks are available on Monday, Wednesday, Friday, Sunday. The price for 2h trek is 55€ per person. Private tours can be arranged upon request. Snowshoe trek can be organized also upon request, contact us!